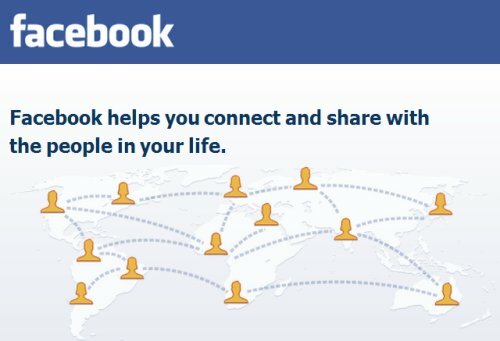 Unless you’ve been hiding under a rock for the past few years you’ll already be aware of the social media networks Facebook, Google+ and Twitter. These three social networks are HUGE and generate an unbelievable amount of non-search engine traffic on a daily basis. If you can successfully tap into these free traffic sources you can make a lot of money online outside of relying on search engine traffic from Google. Below are a few simple methods for generating traffic from the social networks Facebook, Google+ and Twitter. When you create a new article add it to your Facebook wall. Participate in Facebook discussion groups and add relevant links to your articles (don’t SPAM). Add a Facebook Like button to your articles, allows your visitors to add a link/description to your articles quickly from their Facebook walls. When you create a new article add it to your Google+ page. Add relevant links to your articles during discussions on GooglePlus. When you create a new article Tweet it. Add a Tweet/reTweet button to your articles, allows your visitors to easily Tweet your articles. There’s services for automatically Tweeting your new articles, consider using them. Avoid being too spammy, it’s easy to build up a large Twitter following, I have over 8,000 Twitter followers, but it’s not as easy to interest them into following your Tweets to a website, service or product. 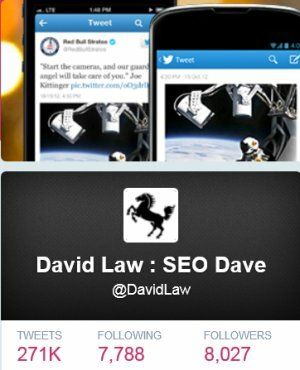 Dave, to get a forum or social networking site going is something that is a mystery, but has a big payoff. I actually worked briefly a few years back, for an acquaintance who has one of the largest dating site in Ireland. He knows nothing about SEO or websites, however, and it would suffice as to say he is all set. This is because people keep coming to his site and creating content and using it. When it was started it was a real niche. They have launched smaller niche sites and they seem to do well. The take away is a forum or community site must be niche. In retrospect I think forums or social sites do better on a stand alone sites maybe? I think the biggest problem is people do not want to register. I do not. I want to just leave a comment and move on. To get people to register is the real reason I think some forums do not do well. But if they do take off, it is better than a normal site. I know a person that runs a niche forum and that is all he has to do. Is have his forum and he is all set. When I say all set this means really all set. I know of a couple of guys that run a social networking site and they are all set. How to get people to register and use a forum over and over is the real trick. I think maybe it is having pages people find on organic search and they just leave a comment like a blog, no registration. So it is just like a blog, but they have the ability to create their own pages and topics. I have two sites I am experimenting on myself. Maybe the answer is continue to make a blog function somewhat like a forum or social network. With recent comments, avatars etc. I think Prelovac has a comment plug-in that makes comments as pages. I think some of the success of your blogs is people keep coming back to comment. I am looking how to also take this a step further. Sorry for using your template page to think out-loud on this. I use a customised version of the SEO Super Comments WordPress plugin you’ve mentioned running on several highly commented sites (including this one) and it makes for a lot of extra indexed pages. The Talian theme for me didn’t work out the box with the SEO Super Comments plugin so I had to make a fair amount of edits to the theme to get it working. I also made some significant improvements to the plugin, much better than the original plugin SEO wise. For example the title of a comment page uses the first X number of characters of the comment rather than the title of the page the comment is from: there’s not a lot of point having a highly commented page (say 100 comments) and then have those comments create 100 pages with the exact same title, which is how the original SEO Super Comments plugin works (I personally wouldn’t use the original). When I get the time to create a Talian update I’ll be including my edited version of the plugin with the update. and was wondering if you have started using it with stallion-theme or if plan to do it. you can add that button yourself. How to Add Google +1 Button? how did you add it? I mean any widget or you put it directly on the template? Hector, you can put the button on a widget or in the template. Its easier in the widget. I downloaded a WP plugin and it’s installed now. It was really easy. Thats ok Hector.I just dont like to add too many plugins. Its really easy to add the code but I am glad to see you got it fixed. Oh, you’re right about the plugins… I forgot about it, will keep it in mind as I have ~ 16 plugins and was supposed to reduced the amount of them. How would you add it to a widget to be at the bottom of the post with the facebook like and tweet this buttons? I can’t work that out, but it sounds good. Editing the theme is less than ideal as it will be overwritten when a new version comes out (which I think will be soon as WP3.2 just came out – there are cosmetic problems in the admin panel with Stallion). Currently not a way to easily add it to the bottom of a post as a widget, but it can be added at the top as a widget. I’ll think about adding another widget area at the bottom of the content of posts so buttons and other code can be added as described below. Under the widget menu there’s a “Content Ad Widget” area, this places content at the top of a post, main use is for adding custom ads to replace the main AdSense/Chitika/Clickbank ad units, but it can be used to add all sorts of code. Save it and view your posts, there will be a Google +1 button floating to the right of your main content. If you want the button to float to the left change fadright to fadleft above. I’ve added it to this site, so you can see what it looks like. If you are running AdSense, Chitika, Clickbank ads on your site and have the main content ad shown I would suggest having the Google +1 button float the opposite way, so if you have your AdSense ad float to the right have your Google +1 button float to the left. This will show the Google +1 button on all blog posts and static pages and the first post listed on archive pages (like the categories). The new Google +1 button has been added to various social network WordPress plugins, I’ve tried a few but not found one that does things the way I want them (with SEO in mind). It is on the list of things to look into. Is there any value for FaceBook likes or Tweets for comments that are long or generally? Or would this clutter things up? Passionate or at least intense debates generate great comments that people might be more likely to click like on Facebook than the post itself. Just an idea. Also the idea of rewarding commentors with ‘reputation points’ is used by forums to encourage users. I think the next release might want to consider even more how to get users engaged and hang out on websites (time on site repeat visits)even more. I can recommend what I see as successful sites or ideas that leverage this if you want. If you mean for the comments as you see them on the main posts page that would potentially add a LOT of code. Imagine a page with just 25 comments each comment will need to generate a set of like buttons for each social network, 25 times (so code for 75 buttons!!!) what is currently loaded on the main post pages! There’s also an issue with having a unique URL for a visitor to like, if a person liked your comment for example it’s going to be associated with the like total of the main page because the best you’d get unique URL wise is the main URL plus #comment-id at the end which is the same URL. I have this unique URL issue with the home page and other archives and the Google + button, Google plus doesn’t have a variable for specifying a specific URL, it +s the URL the person is on when they click the button. So having a Google Plus button for ten archived posts on the home page will only Google Plus the home page not the individual posts. I’ve set Stallion so only the first post on archive pages has a Google Plus button, it won’t plus the actual post, will plus the home or archive page. A bit cheeky, but it was a way to easily add Google plus to the home page and archives without resorting to a widget :-) Hmm, wouldn’t be a bad idea to add a Google Plus button somewhere on the theme that shows for all pages (when Google Plus is on). Back to comments :-) The social media buttons are loaded by default on the SEO Super Comments pages, so there is a way for users to like a specific comment. I have that turned on now, so if you view one of the SEO Super Comments you’ll see the buttons. I’m very close to releasing Stallion 6.1, days maybe. Just solved a major issue with widgets, upgrading the Stallion widgets to use the latest widget code for future updates, will be able to add options to some of them, updating resulted in clearing all the GAT widgets off the sidebars after an upgrade!!! Thought I was going to either have to stick with the old code or have hundreds of irritated users complaining their widgets had all gone :-) Solved it an hour ago. Testing Stallion 6.1 on half a dozen sites so far and only minor issues to work out (mostly CSS stuff), which is a pleasant surprise with how much I’ve added. BTW don’t think I’ve mentioned this yet, I’ve added the second AdSense sidebar content widget back in (feature you liked from Talian) so you can disable the main widget and have two sidebar AdSense widgets now. Set the code so the extra AdSense widget won’t show if one of the other AdSense ads isn’t turned off, so no way to add 4 content widgets by mistake and break the AdSense TOS. How can I get the pop out Facebook like as some of you using it. If you know if you guide me somehow so that I could allow my friends on Facebook to like my blog too. Thank you so much, and hope to hear your voice.